Goodness me! Where did the days go? Seems like I spend more time at ordinary tasks these days — necessary and unnecessary. My San Francisco loved ones visited over the New Year and as always, treated me with more consideration than I deserve. Only after they left did I realize I hadn’t washed dishes while they were here! The accrued laundry is still awaiting my attention and I let it wait because I had other priorities once they were gone. (Happy Birthday Joseph!) Then my exercise and Tai Chi classes started again and let’s face it, nothing seems more important than keeping this old body of mine moving. Time passed quickly and I’m only now sitting down at my computer to talk to you. I was going to write about pet peeves, but let’s face it, what in the world do I have to complain about? Someone as lucky as I am must, therefore, include praises as well. Since I no longer drive, I use our transit service. I also use a walker, I’m slow, (I was never fast.) and must praise our bus drivers who are patient, thoughtful, and caring. They wait patiently until I am safely on-board and seated before they restart the bus. They tell me to take my time when I disembark. We are certainly fortunate to have such wonderful people at the wheel. I also find strangers extremely kind. When I want to enter a store or cafe, someone will most often come forward to open doors for me. Am I deserving of such attention and kindness? They don’t ask. They don’t care. They just DO. I’m grateful. It isn’t always easy to push a walker through a doorway. Talking about praises, I also must praise and am mighty grateful to my children who take time out of their own busy lives to not only visit and cheerfully put up with me when I visit them, but help me with whatever my needs are, especially my tenuous relationship with this computer. Seems to me, as soon as I get comfortable with a program, they (whoever ‘they’ are) ‘update’ the darn thing and get me all confused again. How do the younger people manage??? keep me humble. ‘They’ want me feeling stupid and they’re definitely succeeding. I don’t know what to make of this computer most of the time. Grrrrrrr. Pet peeves? On the bus, in movies and restaurants, some people will put their feet on the seats. Look guys, you walk on the sidewalk. People walk their dogs on the sidewalk. Dogs urinate on the sidewalk, they also sometimes defecate on those surfaces. Yuk! Please don’t put your shoes up where others have to sit. Yes, I love them, but please keep them leashed on streets. And, talking about dogs, I implore dog owners to walk their dogs on-leash on city streets. Yes, I love dogs but I’m uncomfortable with them prancing around my feet. My balance is lousy and I worry about falling — again. Most of us deal with balance deterioration as we age, so this is not only a problem for me. Besides, I have friends who are terrified of dogs, either having been bitten or taught to fear them. I don’t know what else to complain about, but I’ll bet you do. What pleases or irks YOU? Kudos to Canada’s Supreme Court, which this week voted unanimously for doctor-assisted suicide. It seems they’ve given a reluctant Conservative government a year to put it in place. This is something I have wanted for myself for years and I heartily approve. Hurrah for Canada, the country that made Gay marriage legal, and now has passed another important act of compassion. 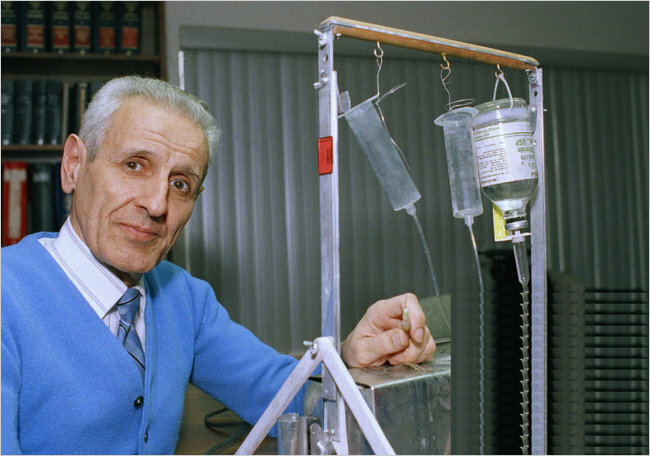 Normal people don’t move mountains, and Dr. Jack Kevorkian, crazy as he may have been, was a hero in my eyes. He assisted 120 people to die. To my friend who is writing about serial killers, that is what he considers Kevorkian was — a killer. Interesting…. “C” was a member of the organization I started 15 years ago for people with balance and dizziness disorders. When I first met him, I was sure the guy would kill himself at work, which sometimes required climbing ladders. He had Ataxia, which compromised his nervous system and his balance was severely affected even then. Fate sometimes plays cruel jokes on us, he had been a Tango dancing devotee. His co-workers thought he drank. He let them think so. They would chuckle, and he would smile with them. But it was a charade — he didn’t drink — though if you saw him walking, you would certainly think so. He was determined to keep working until he was 65 so he could collect his pension. I was sure he wouldn’t make it…. No one fought harder than “C” to continue functioning, he attended Tai Chi classes, and regularly worked out at a gym. His arm muscles looked strong and powerful, but his illness was even more powerful. However, every step I thought he should take, he delayed. He drove longer than I thought he should. He walked without a cane longer than I thought he should — and he fell, again and again. When I felt he needed a walker, he finally gave in and bought a cane — and kept falling. When I thought he needed a wheelchair, he purchased a walker. They must have known him well at the emergency department of his local hospital. Once, it was nine stitches to his scalp, another time it was twelve. Too often he sported ugly scrapes and bruises. I worried. He drove me nuts. It became too dangerous for him to live on his own. Long after I thought he should give up his apartment, he finally gave in. The falls, however, never stopped. When things became more than he could bear, he asked me to help him end his life. I contacted “The Farewell Foundation”, an organization which helps people in his position as much as they are legally permitted to. They cannot provide anything for you, but they will stay with you when YOU, yourself, obtain or do whatever you decide on, until you are dead. I understood their position. Things became more and more unbearable. He could no longer write. He could no longer speak clearly. He could no longer hear much. I met with him and the kind people from the organization. They warned me to be careful and told me of possible dire consequences. A woman who had helped someone spent over $100,000 in court, lost her passport and could no longer leave the country. My children live out of the country. I love them. I want to be able to visit them. I was scared. We visited his doctor together. He was sympathetic, but not willing to help — too frightened to I assume. Again, we understood. I bought the most recent copy of “Final Exit”. I read it cover to cover. I marked and underlined everything I felt could be helpful, brought it to “C” and read those parts for him. We talked about the various options. However, as usual, everything he decided to do, he decided on too late. The last fall I was aware of cost him an eye. They had to remove it. After that, he was permanently hospitalized. Things were now truly out of his hands. He again begged me to help. I was told if he chose not to eat in hospital, they wouldn’t be allowed to force him, and they are required to keep him comfortable. Did he understand? Was the information I was given correct? I’ll never know. He then asked me to take him to Switzerland. He could no longer walk at all. I would not be physically capable of helping him make it. It was too late. In desperation, he asked me to get him a gun. He was no longer able to hold one or to shoot it. It broke my heart to watch his suffering. Can a caring person be relieved and glad when a friend dies? I was…. For “C” and the other person I knew who would have opted to end his life on his own terms had he been able to, I hope this new law will be enacted and be there for all who wish it. You need not agree…..
I’ve been having a grand time reading books downloaded onto my e-reader from the Gutenberg Project website. As a history buff, I’m thoroughly enjoying “The Autobiography of Benjamin Franklin” written in 1791. Franklin wrote with obvious pleasure about his many accomplishments, and who can blame him. It made me think about some of the good stuff most of us accomplish in our own lives and, although nothing I’ve ever done compares with Franklin, perhaps it is okay to share some, especially since one was so recent, I am still basking in the pleasure of it. This was a tax issue complicated by my having lived for years in the U.S. before returning to Canada, which resulted in some double taxation. After about a year of letters, phone calls and emails, I received an email just this week, which reads partly: “Muriel: Good News. It appears that our contact, —– has been able to negotiate an exemption for you as well as other clients in your situation with the CRA….. He complimented you on your very thorough investigation noting that it was extremely helpful in amending the current policy, not only for you, but in general for all clients in the same circumstance. Kudos to you!!! …. I know I’m right, blah, blah, blah…. .”Since I’m neither an accountant nor a tax expert, you can imagine how pleased I am, especially knowing that I have, at the same time, helped others. I’m also pleased with the fabulous little Book Club I started around 1997/98, which continues to enrich my own life so much. I’ve certainly gotten more out of it than anyone else possibly could. Through the years, this little group of knowledgeable, well-read women has introduced me to authors and books I would never have read on my own. And besides we have a good time at it. But here’s the biggie. 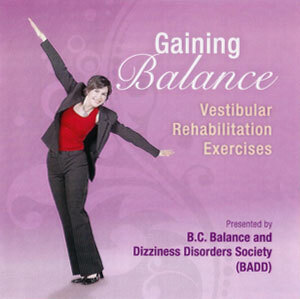 I am extremely proud of having founded the BC Balance & Dizziness Disorders Society (BADD) in 1999, with the encouragement and support of my then wonderful otolaryngologist, Dr. Graham Bryce. BADD is dedicated to supporting people with balance, dizziness and all related vestibular issues, and we’ve managed to help hundreds of people who suffer with these debilitating conditions. Soon afterwards, I saw Teruko Ueda performing Tai Chi and thought perhaps that would be a good thing for us dizzy folk to try. The “Tai Chi for Balance” class was started in 2000 and is thriving under Teruko’s gentle leadership. 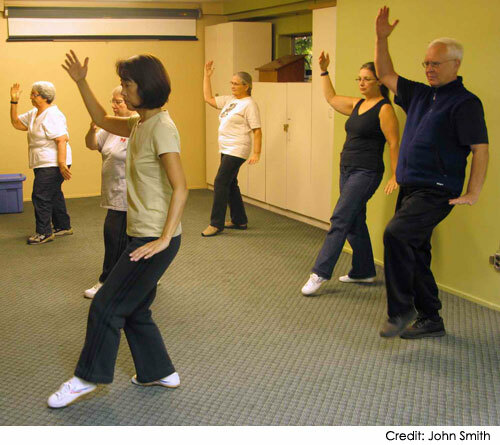 Now Tai Chi is recognized in medical literature as being helpful for people like us. 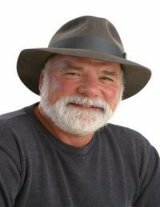 So, you will understand why I so enjoyed the following article about BADD written by Canada’s well-known humourist Arthur Black. He is the only one I know who can write with humour about his experience with Benign Positional Paroxysmal Vertigo (BPPV) and, fortunately for him, finding the proper treatment for same. 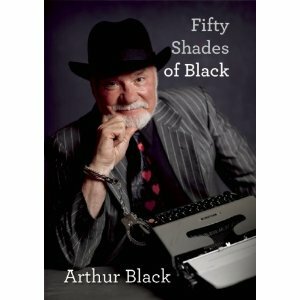 Arthur Black’s latest book, “Fifty Shades of Black”, guaranteed to make you laugh. A couple of years ago, I suffered – briefly – from a condition called Benign Paroxysmal Position Vertigo – BPPV for short. Dizzy spells, to put it even shorter. If I got up too fast or turned my head too sharply or bent over quickly to pick something off the floor, my internal gyroscope went into overdrive and I lurched about like Ozzie Osbourne on New Year’s Eve. You don’t get BPPV from bad dietary practices, using street drugs or hanging out at the Willie Pickton pig farm. BPPV is an equal opportunity bushwhacker that nails vicars and villains alike. Anyone can get it, at any age, at any time. An attack comes when microscopic grains of calcium crystals floating about in your inner ear brush against tiny hairs therein. This sends signals to your brain that you are falling down, or veering left or right. Your brain attempts to get your body to compensate in 11 different directions all at once and, hey presto, you feel like you are going through the spin cycle in some galactic Maytag. Happily, there is a procedure called the Epley Maneuver. It’s a relatively simple manipulation of the head that any qualified ear, nose and throat specialist is trained to perform. Basically, Doctor ENT takes your noggin and gives it a vigorous spin. The idea is to shake up those calcium crystals in your ear and get them to settle down where they’re supposed to be, well away from the hairs. Does it work? An astonishing 85% of the time – providing you actually are suffering from BPPV. If your vertigo is caused by something else (and there are several possibilities) then the Epley Maneuver won’t help. My vertigo was cured in one visit and I wrote a magazine article about it. End of story. Not. I get an email from one Muriel Kauffmann. She is a spokeswoman for a group called BADD which stands for Balance and Dizziness Disorders Society. As a former sufferer, she wants to know, would I consider coming to town and speaking to her group? Well, sure. Public speaking is what I do for a living. I email her back with details of my speaking fee, my expenses expectations and my availability. I get another email. You don’t understand, writes Muriel. 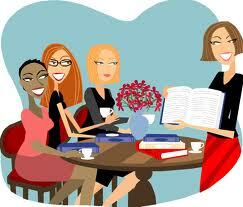 We are a non-profit organization. We don’t even have an executive. Would I come and speak for free? Hell, no. I’m a professional. I don’t give away my services. Would you ask a surgeon to do a free appendectomy? A lawyer to defend you in court, gratis? 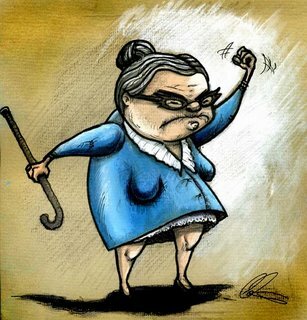 You don’t understand, Muriel emails back. 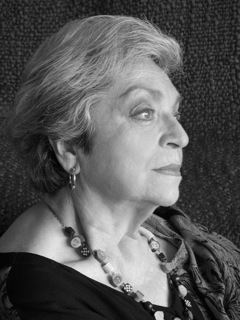 She makes many passionate arguments, but what it boils down to is, what I don’t understand is that she is Muriel Kauffmann and she will not be denied. When I arrive to deliver my (free) speech at St. Paul’s Church in Vancouver, the auditorium is not only sold out, there are people sitting in the aisles and a conga line of latecomers trailing out the door. 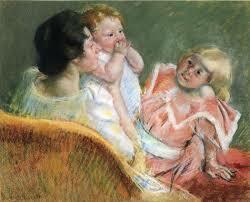 This is entirely Muriel Kauffmann’s doing. She had dredged up every soul who ever suffered from vertigo in the entire British Columbia Lower Mainland and they are all here tonight. And as almost happens when I abandon my narrow preconceptions and go with the flow, I learn amazing things and hear incredible tales. I hear one sufferer tell how her doctor pooh-poohed the Epley Maneuver. “It’s a hoax,” he assured her. I hear of another vertigo victim who spent 10 years – ten years – as a prisoner inside her own house, terrified to face the world for fear she would fall on her face. After a decade of self-exile, she went into the office of an ENT specialist in a wheelchair. And walked out on her own two feet. 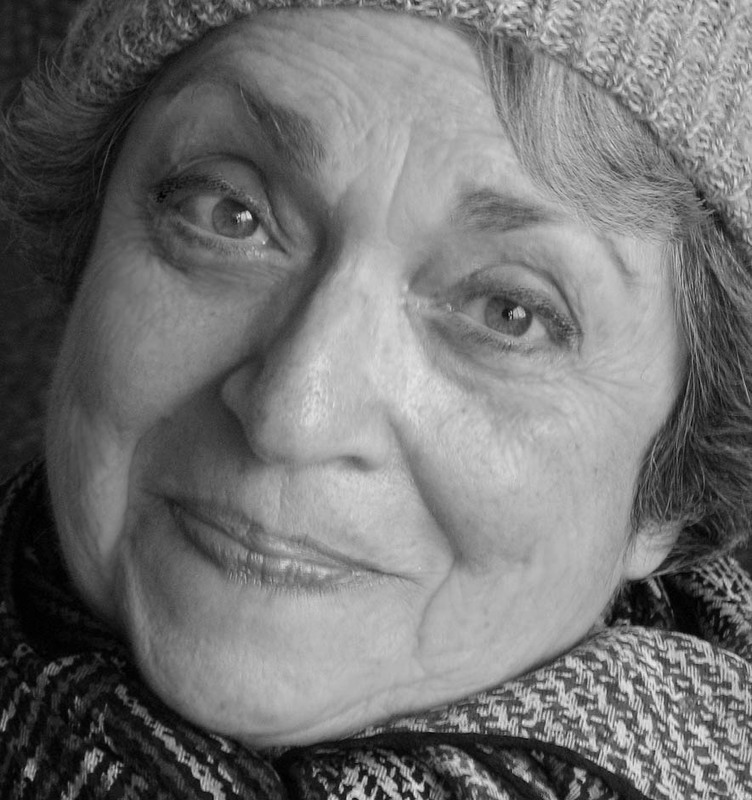 I hear stories infinitely more interesting – and harrowing – than my frail tale, but incredibly, my vertigo story – thanks entirely to Muriel Kauffmann – continues to snowball across the nation. 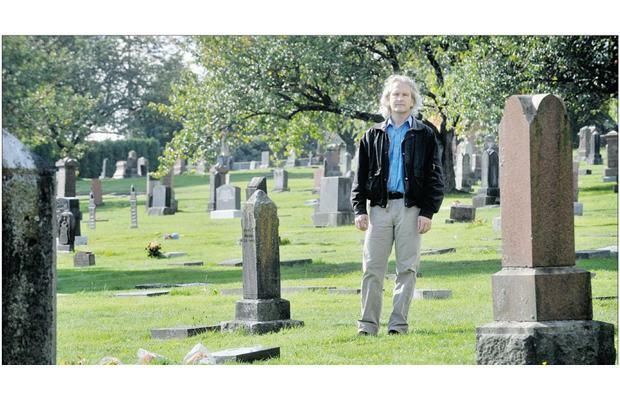 So far, I have been interviewed by two Vancouver newspapers, CKNW radio, the Edmonton Journal and the Calgary Sun. I have yet to return calls to the Toronto Star, the Montreal Gazette and CBC radio’s national radio show, The Current. I’ve got emails, cards and letters from BPPV sufferers from Joe Batt’s Arm to Buffalo to Baffin Bay. I’ve written books that didn’t get one-tenth this attention. Point of the story? A metaphorical bouquet of roses to the Muriel Kauffmanns of the world who Get Things Done and Don’t Take No For an Answer. Muriel’s a volunteer and like all volunteers she gives her time and her energy and her cunning, all for free. Volunteers – bless ‘em – are the backbone and lifeblood of our communities. Moral number two: count your blessings. If you got out of bed this morning and didn’t fall flat on your keister or do a 180-degree face plant into the wall, consider yourself lucky. I am particularly proud of my children who love me despite my failings. 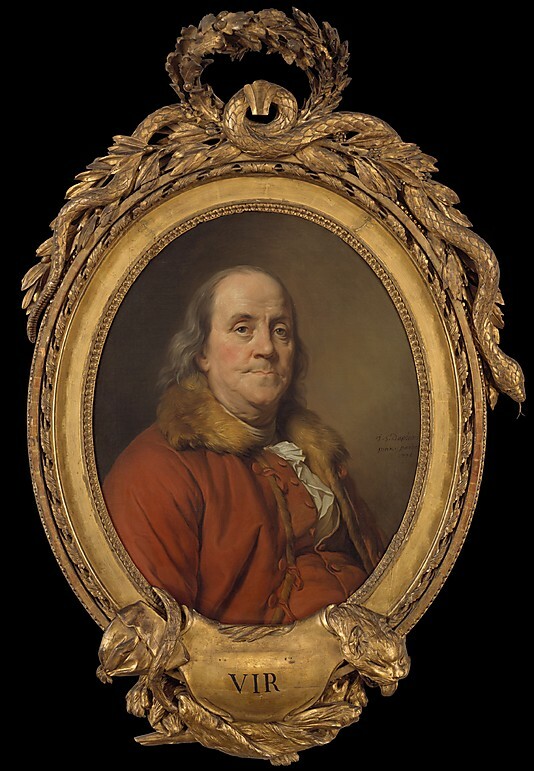 Benjamin Franklin was certainly able to say he accomplished much in his lifetime. I’ve managed a few of my own that please me. I think being a parent and raising my children to be good, honest, decent, human beings is another accomplishment I am extremely proud of. And, I am proud of them in particular, especially for their loving patience with me in all ways — especially regarding technology. What about you? How about sharing some of your accomplishments here?